With the exception of the Ninja Turtles movies, the back-end of this list is populated with films that deliver exceptional visuals but don’t quite hold up in other areas, making Hellboy II: The Golden Army a perfect fit here. 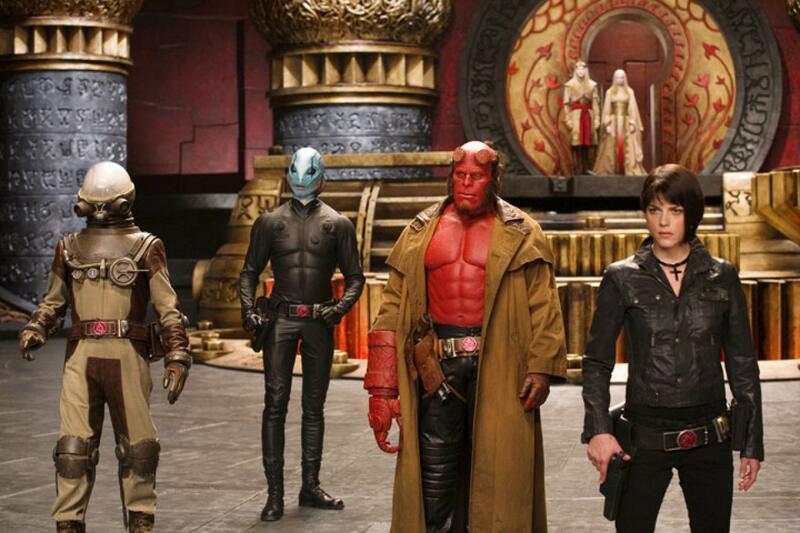 The Hellboy sequel lacks some of the character nuance and emotional charge of the original film but man-oh-man is it gorgeous to look at. The three scenes that stick out to me are the segment in the Troll Market, the confrontation with a plant monster (Nuada) the size of a city block, and the grim reaper at the end who is as visually mesmerizing as anything Del Toro has created. The sub-titular “Golden Army” provides for a memorable final battle and while I’ve heard the story of ancient dark elves with a score to settle before, as long as they look this badass settling it, I’ll keep watching. Lots of superhero and comic book adaptations have “wow” moments with explosions and punches to the face but Hellboy 2 has serene and beautiful aesthetic that makes it unique. I love looking at this movie so much that I almost placed it in the Top 20 where we will find the first film in the franchise. I ultimately decided to switch them spots after reviewing both movies. But if you come to your comic book movies not for challenging philosophies or to question the nature of life, but instead to have fun, this Hellboy sequel is as good as it gets.